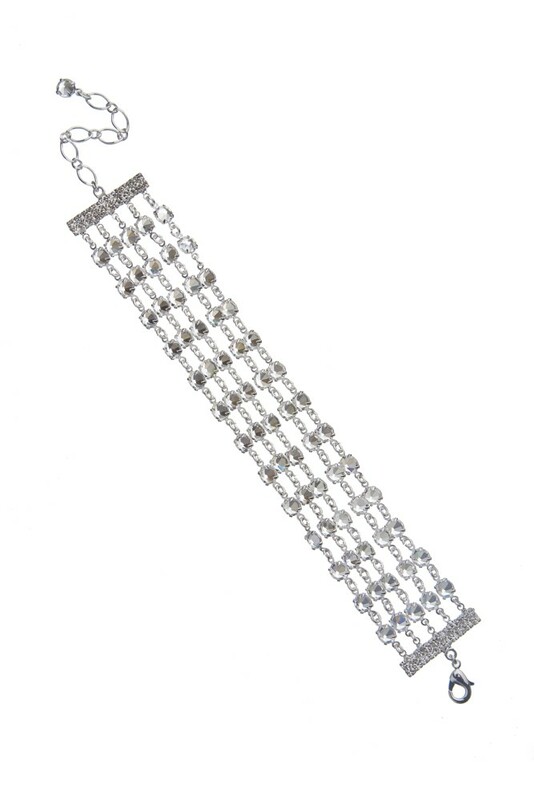 Gentle and elegant 5-row bracelet made from Czech rhinestones. Crystal. Lenght 15,5 cm plus 5 cm adjustable chain. Silver plating.